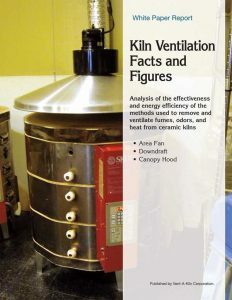 Vent-A-Kiln designs and manufactures fume-hood ventilation systems and other equipment to remove contaminated air at its source. We have more than 35 years of experience providing fume exhausters and safety accessories for the source capture of process emissions – heat, fumes, smoke, odors – and removing them properly and effectively. Schools, ceramic studios, industrial plants, automotive shops, commercial and institutional facilities, and other companies have relied on Vent-A-Fume and Vent-A-Kiln to help ensure a safer, healthier work environment. 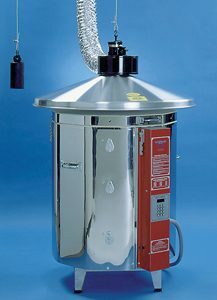 OSHA-compliant Vent-A-Kiln overhead systems for schools and ceramic studios or table-mounted units for special applications. 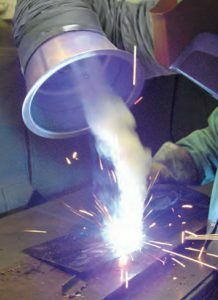 Vent-A-Fume systems are ideal for removing fumes from welding or soldering as well as other industrial contaminants. 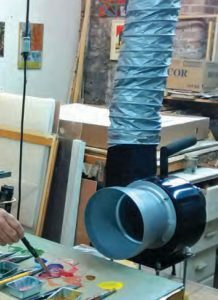 Fume extractors for encaustic wax painting to help keep your art studio safe and comfortable. 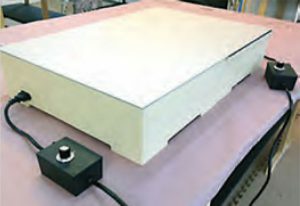 Vent-A-Fume is now the exclusive manufacturer of the renowned Roland HOTbox for encaustic monotypes. Learn More. 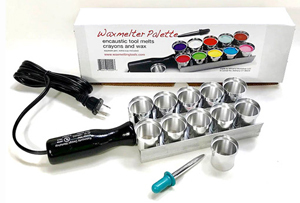 Vent-A-Fume introduces a new line of quality accessories to equip encaustic art studios. See the New Products.